I teach voice lessons for students from beginner to advanced levels. My students range from 4 years old to 70 years old, but you're never too old to start! I use Singing Lessons for Little Singers by Gregory Blankenbehler for students under 9 years old. This book is a 3-in-1 Voice, Ear-training and sight-singing method book for Children. For students 10-15 yrs, I use Teach Yourself to Sing by Karen Farnum Surmani. This book teaches the basics of proper singing, music theory, and performance skills. And for Adults I use The Contemporary Singer by Anne Peckham which teaches the basics of singing and performance for adult learners. I believe singing should be fun to learn and everyone can grow and develop their voice! I strive to create a positive environment for all my students no matter their experience level or age. Kelsey delivers an exceptional lesson experience and ranks in the top 15% of our teachers nationwide. My name is Kelsey, and I teach Guitar, Voice, and Songwriting lessons. I loved learning to play guitar when I was 14 years old as I was learning to write my own songs and perform them for various audiences across Michigan. And now that I've been playing, singing and writing for 17 years, have my Bachelor's in Music from Cornerstone University, and years of touring experience, it has been my privilege the past 6 years to teach these skills to students of all ages out of my home studio! I love to teach and I love music and sharing this passion with my students every week is one of my greatest joys! My goal for each student is to help you achieve your goals. Whether that's performing live, or just learning to play and/or sing your favorite songs, or jump starting your songwriting. My guitar students have seen much success in learning new chords and getting to practice their favorite songs and master new techniques that make them sound more professional. My voice students have seen so much development in their tone, pitch recognition, breath support, and over all vocal strength as we set goals for their individual voices. And my songwriting students have learned to write their own songs, and even ways to get ideas flowing when they feel the dreaded "writer's block". Whatever your goals we can work on achieving them together! I teach voice, guitar, and songwriting lessons out of my home office. I taught voice and guitar lessons for a local Grand Rapids music academy. I taught voice and guitar lessons for students of various ages. I started a new Songster hack series to help budding writers. 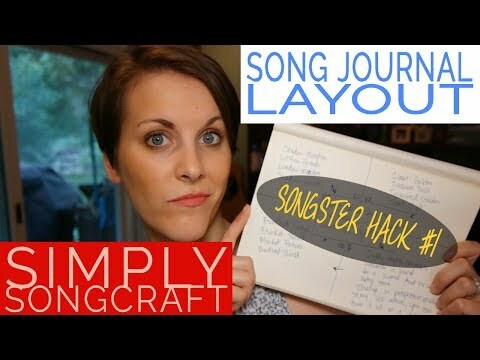 For more videos like this, go to my youtube channel, Simply Songcraft! 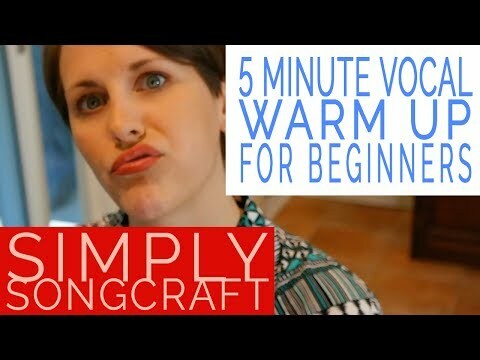 Need a quick warm up to get you started? Here you go! Try it out- it's only 5 minutes! 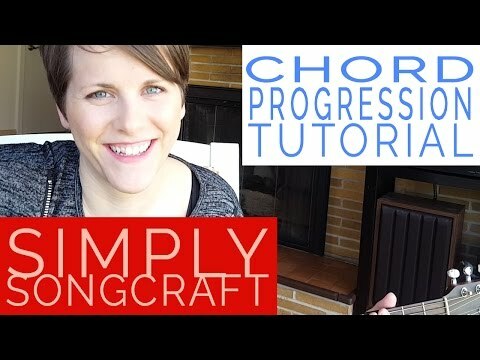 If you like this video, check out my weekly tutorials on my YouTube channel, Simply Songcraft. 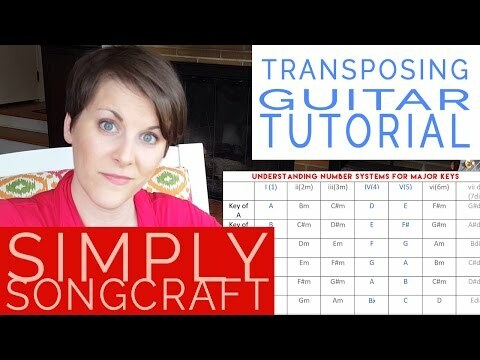 Chord Progressions tutorial for beginners! Check out my youtube channel, Kelsey Pray, for weekly tutorials and songs! 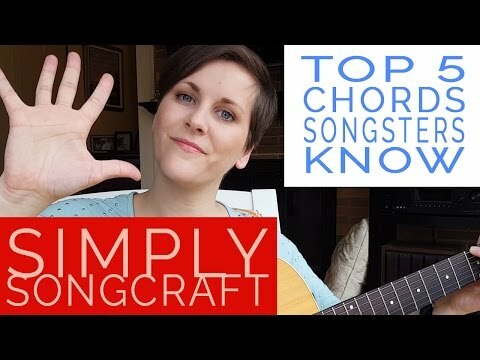 Top 5 Chords Songsters should know! Check out my Youtube Channel for more weekly tips and tutorials, every Wednesday! Performing at Artprize 2014 for The Scarlet Cord, an exhibit to raise awareness about human trafficking. 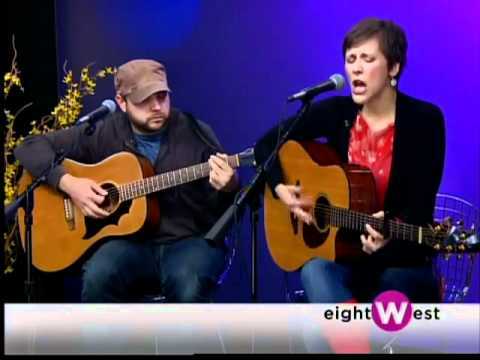 An old interview and live performance of Kelsey Rottiers & the Rising Tide from 2012. Hanging out with my pup and baby! Great start. I feel like I'll be moving in the right direction. Thanks. She is an amazing teacher! Kelsey is great! Works to understand your goals, and helps you make progress toward them. Would definitely recommend her to anyone, any age, and any stage! Kelsey is very good and patient with my grand daughter. Appreciate the experience so far. Great instructor with kids! Very patient! I am 62. About 2 years ago I started singing karaoke when we go out with our friends on Saturday nights. My voice needs a lot of help, so I am very limited to what I can sing, and what I do sing is just okay. Kelsey is patient, and as part of my lesson, i was to list songs as part of my goal. She picked out a couple of them for me to work on to improve my overall singing. Each week she would pick out areas of the song and tell me what I need to do to umprove on it. I have quite a ways to go, lots of bad habits to correct, but I have been able to apply what I have learned so far to songs that I have already been doing and to other songs that I wouldnt have considered before I started 3 1/2 months ago. Kelsey is a great teacher, and I really look forward to my lessons. Kelsey was terrific with my 9 year old granddaughter! I'm very excited to see how she helps her! Coming in as never having any singing background, Kelsey has taught me that I can actually sing and that I can sing a lot higher than I ever thought I could. YAY!!! I'm a visual learner, and Kelsey uses a lot of visual techniques with teaching me how to sing. That, in return, has helped me to catch on a lot quicker. Kelsey is so helpful to a novice/wannabe singer. She senses what needs work and addresses the issue(s). She has me work on what I want to sing, in addition to what she feels I need basic help on. Kelsey is helping me think about what I need to think about and "listen" before singing. Glad to have found her and her expertise. Kelsey has been giving my daughter singing lessons for a year now. She has been wonderful. My daughter enjoys each lesson and her range has increased as well as her confidence since taking lessons from Kelsey. My 7-year-old was very eager to start guitar lessons. She has enjoyed her lessons with Kelsey and is so proud of the progress she sees in herself every week. Kelsey is great with her: very optimistic, encouraging, and patient. When she sees my daughter struggle, she points out the positives, assures her that she can do it, and moves on to success. I would recommend Kelsey to anyone looking to start their young child in lessons. Kelsey is a very talented teacher. She knows how to get things done and make it fun. She is an ardent musician that instills the fundamentals of singing as a go to master. I am in my 70s and I am very happy with her instruction. It is great to be able to have complete confidence in Kelsey to know she can take me to my fullest potential. She has a fine studio conducive of a relaxed environment to learn in. I especially appreciate her holistic approach to singing. Her energy level is contagious. I can very strongly recommend her to any aspiring singer. She is a very accomplished professional vocalist. Thanks Kelsey! I started voice lessons with Kelsey a while ago, and was very impressed with her lesson. In no time at all, she was able to determine my level of singing and was able to give me tips and techniques to help me excel. Since then, I have learned and experienced, lessons that are fun, interesting, and relevant to what I want to do with my voice. She is always willing to work on whatever topics I bring up, and figure out how to make the songs we choose work for me, rather that struggling to figure out our ways around a melody. I would strongly recommend Kelsey to anyone who wants to learn music. She knows her stuff and presents it in a fun, interesting way. We love Kelsey's energetic and passionate approach to music! Our 13-year-old son enjoys going each week, and began using his "new" voice after only a few lessons. Kelsey made us feel welcome and comfortable from the very start. She gets right down to business with lessons, and explains clearly the goals and approach she is using. Her understanding of voice and music shines through in all that she says and does. We plan on having our other children learn with Kelsey in the future. My daughter was apprehensive about taking lessons but Kelsey has been the perfect teacher for her. Kelsey makes her feel very comfortable and as a result my daughter has learned so much in such a short amount of time. Voice Lessons are ALWAYS Fun! I first met Kelsey at a house show. I was interested in her singing style and when I learned that she offered voice lessons I was eager to try them out. A couple months later we met up for the first time and started the process. I had never taken voice lessons but Kelsey remained patient and encouraging. Since then I have grown not only vocally but in singing technique as well. I have learned quite a bit and I find myself sporadically laughing from the many jokes or comments that Kelsey says which makes lessons fun. I would definitely recommend Kelsey Pray to anyone wanting to stretch their vocal abilities and have fun while doing it.